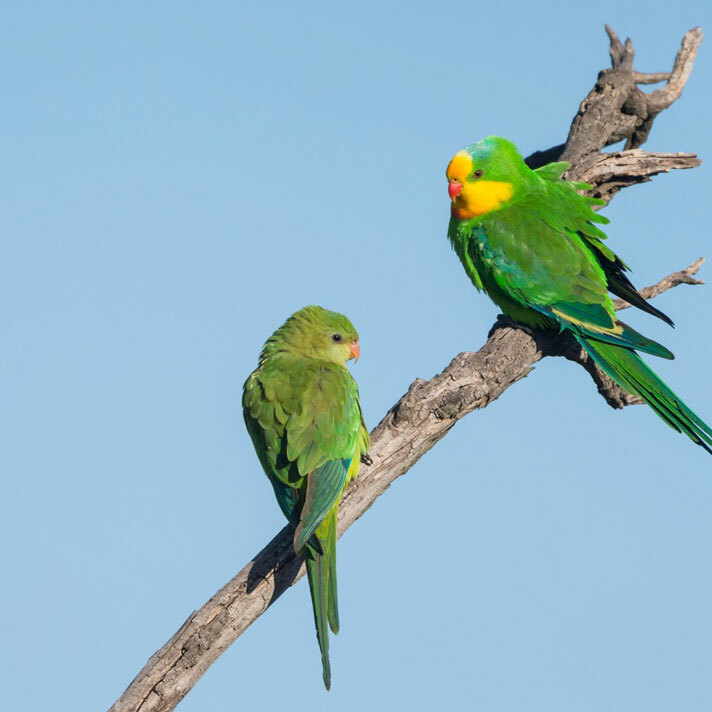 The superb parrot exemplifies one of the modern era’s major conservation challenges: continued drastic loss of foraging and breeding habitat due to the interacting effects of land clearing and climate change. 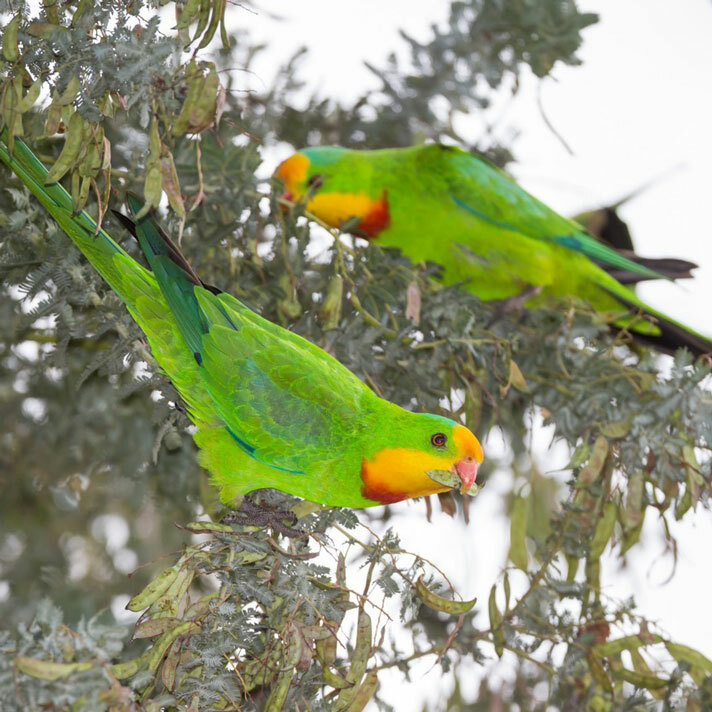 The superb parrot migrates from the south-east of its range, and is known to have large population fluctuations driven by plant productivity and highly variable climatic conditions. 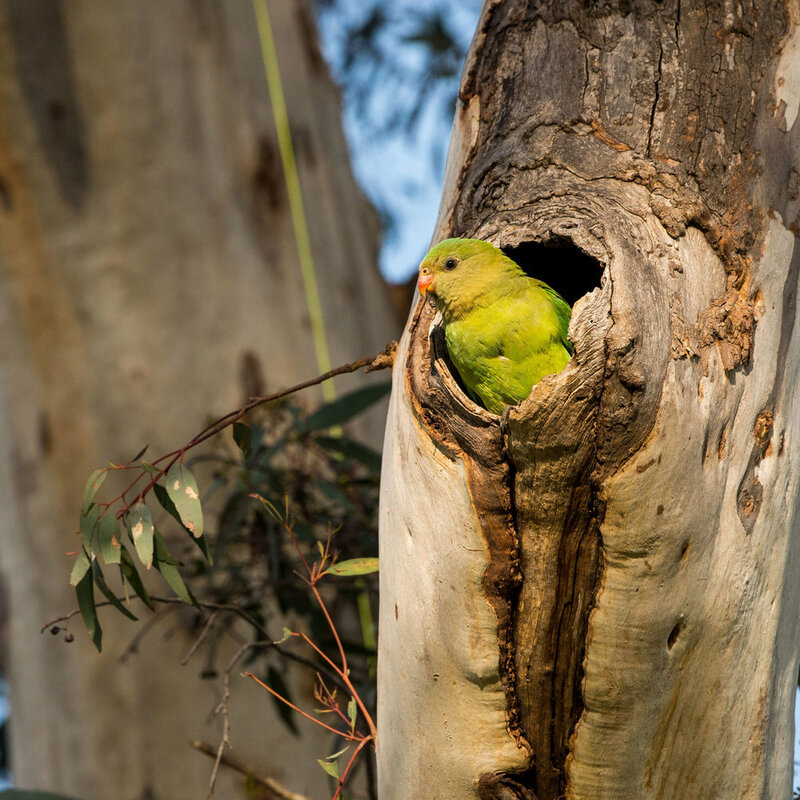 Yet, there remain considerable knowledge gaps about key aspects of the superb parrot’s ecology and biology that prevent robust analysis of the long-term viability of the species and possible conservation action. 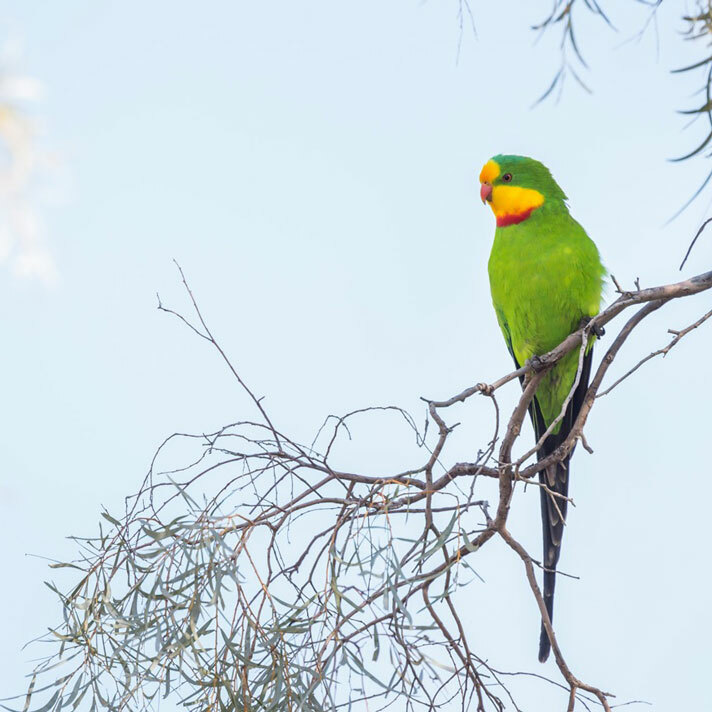 Crucially, recent work by Professor Adrian Manning and colleagues indicates that the superb parrot is highly susceptible to the impacts of climate change, with projections of a 91% contraction of it’s core bioclimatic domain within the next 34 years. 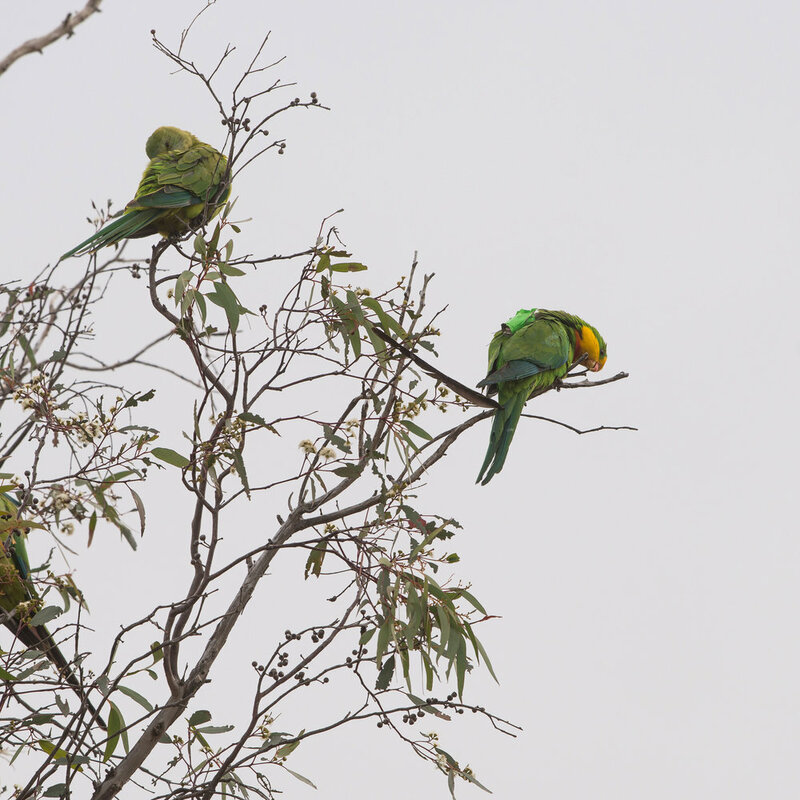 The superb parrot is a member of one of the most globally threatened bird orders. It is a wide-ranging austral migrant, undertaking large and often unpredictable movements over vast areas between their breeding and wintering grounds. Their high mobility necessitates a multi-scale research approach across the variable, and often highly-modified or degraded, landscapes of central and southern New South Wales. 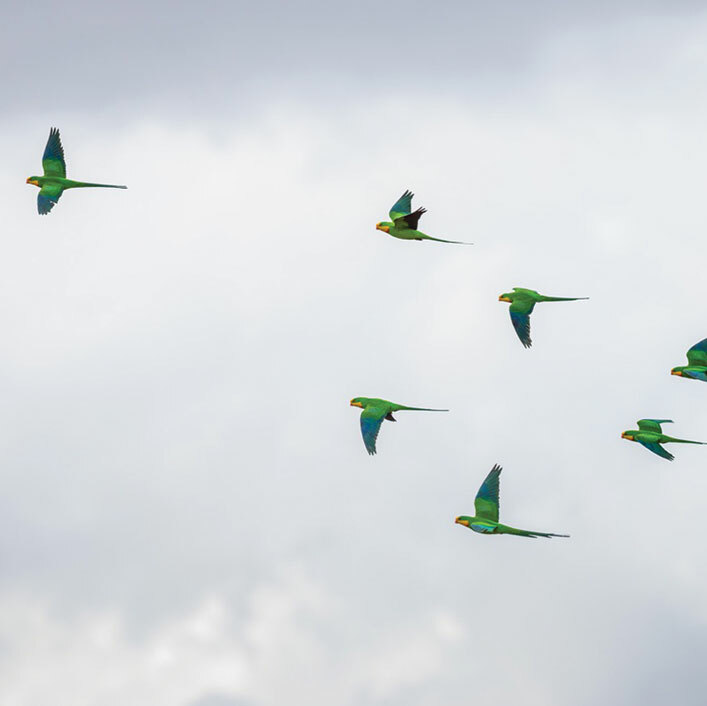 Superb parrots are also obligate hollow nesters, and information is limited with regard to how the species selects its breeding sites between years, and how the depletion of old hollow-bearing trees (a key threatening process) impacts their populations through time. These life-history traits and ecological knowledge gaps make the species extremely challenging in terms of tracing dominant and interacting threats to their populations and finding practical conservation solutions to the increasing severity of those threats. The DBRG specialises in birds with small population sizes at critically high risk of extinction. For such species, there exist major ecological knowledge gaps that, due to their extremely small population size, cannot be addressed (e.g. range shift). A key lesson for conservation biology is that threatening processes may be more serious than they appear and that evidence-based conservation has a higher chance of success if it begins long in advance of species meeting the criteria of ‘Endangered’. 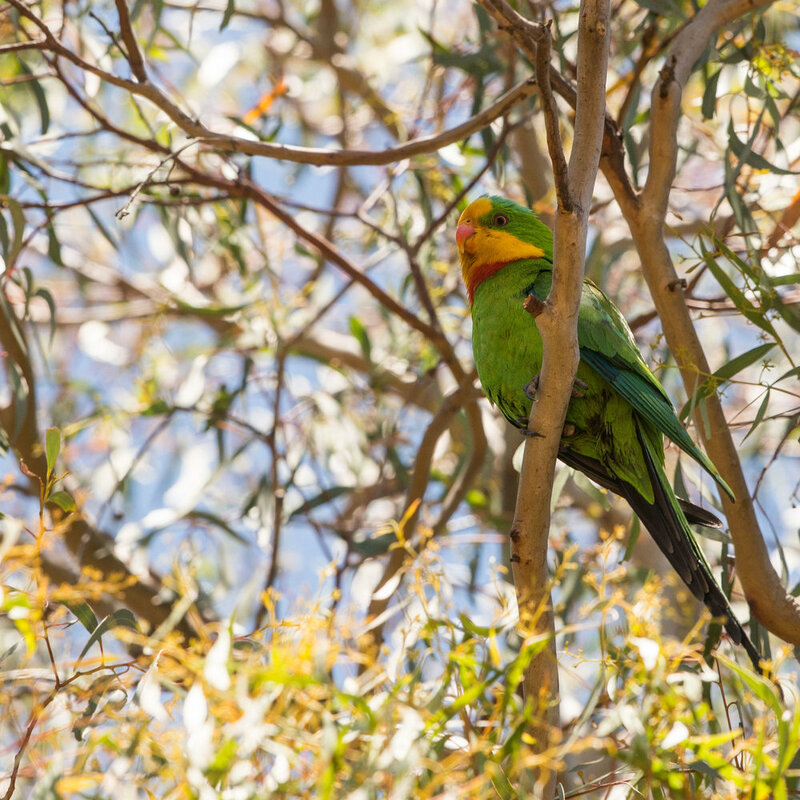 The superb parrot is currently listed as Vulnerable under the Australian EPBC Act, but due to ongoing loss of old-growth hollow-bearing trees and a projected severe range contraction under future climate change, we view this species as ‘future endangered’. 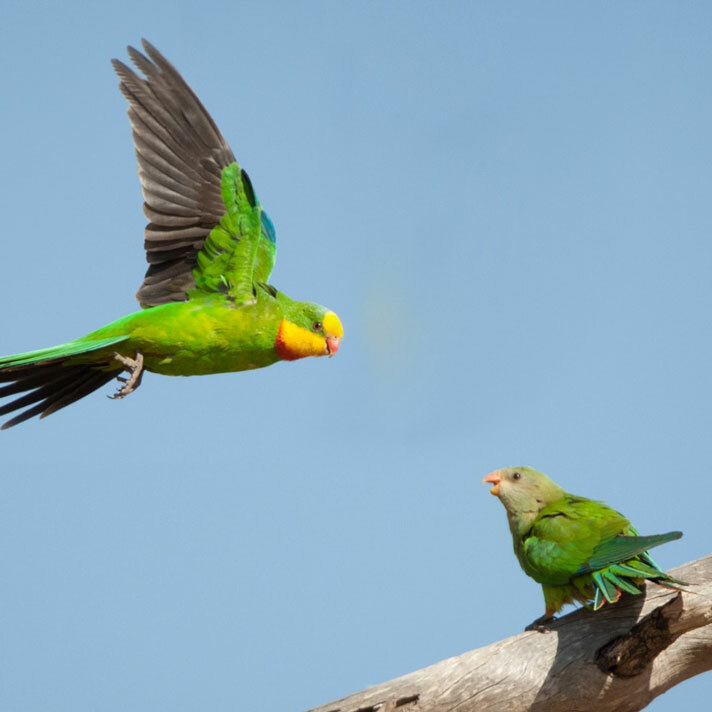 Recognition that many threatening processes for the species are ‘locked in’ is a strong motivation for us to initiate targeted field-based research now to pre-empt forecasted threats to the superb parrot population, and determine the true value of early intervention for protecting and sustaining wild populations of Australian migratory and nomadic species. 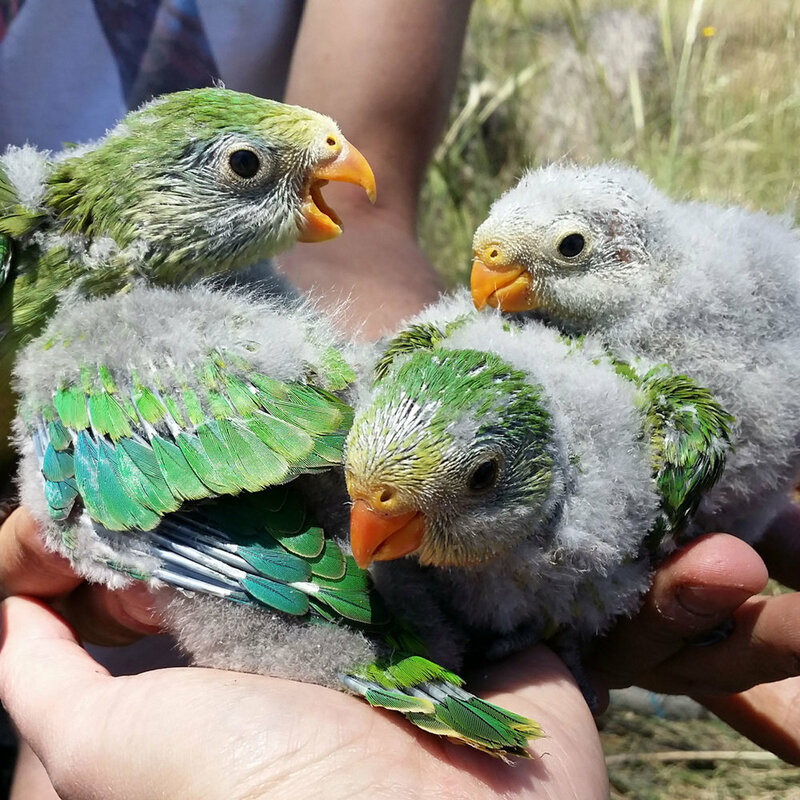 Our work on the superb parrot is in its infancy but already the DBRG, in collaboration with Professor Adrian Manning (ANU) with support from the ACT Government, have gathered critical information about the superb parrot’s breeding biology and nest site selection, and we have successfully trialled GPS loggers on the bird to track its local foraging movements. We have characterised their nest tree selection, defined their specific hollow requirements, banded over 40 birds, and tracked the movements of 6 breeding adults at an important breeding territory in northern ACT. We plan to expand this work across their entire breeding range, establishing critical monitoring landscapes where we can enhance knowledge of the bird’s movement pathways, population structure, responses to climate change and quantify the relationship between population/sub-population size, and the availability of suitable nesting hollows.